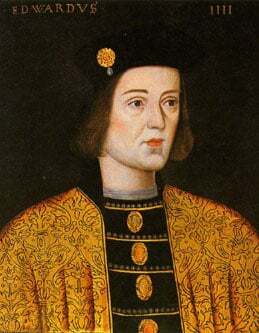 Edward IV, having been obese, but otherwise apparently in good health, died after an acute illness of only a few days in April 1483. Ten years previously he had been a supremely fit warrior king. The cause of his death has never been clearly established, though in those turbulent times with other claimants to the throne, poisoning inevitably has been suggested. The possibility of foxglove toxicity as suggested in a recent novel is examined. Philippa Gregory’s novel, The White Queen , about Elizabeth Woodville, wife of King Edward IV, raises the possibility of foxglove poisoning as the cause of Edward IV’s death. Although Gregory lists forty books in her bibliography including the standard sources of information used by the Richard III Society members and other 15th century historians today, she is not able to reference or substantiate this possibility.1 The question addressed in this paper is whether foxglove poisoning was well known and described in the late 15th century, and whether Edward’s final illness was compatible with this possibility. Curiously for Ricardians, the foxglove, prior to 2001 a member of the Scrophulariaceae, now has been reclassified to the family Plantaginaceae, a group of flowering plants in the order Lamiales. The common or purple foxglove plant, known scientifically as Digitalis purpurea, has been well known as a poisonous plant, as well as containing a useful drug for over two centuries. In the early 20th century, medical science introduced the dried powder biological assay by experimenting on cats, frogs and guinea pigs. This was the dose per kilogram of cat weight, which would kill the cat, from which the patient’s dose of digitalis in ‘cat units’ could be calculated!